Why Fix What Isn't Broken When Lives Are At Stake? The Sudden Cardiac Arrest Foundation is opposed to the FDA's proposed reclassification of automated external defibrillators (AEDs) as Class III devices. Our Sudden Cardiac Arrest Survivor Network is a testament to the fact that AEDs save lives. It has taken so long to improve rates of survival from sudden cardiac arrest. Let's not take a giant step backwards. A widely reported incident at an independent living facility in Bakersfield, California, provides an opportunity to reinforce for the general public the importance, simplicity, and effectiveness of basic lifesaving interventions. The Glenwood Gardens case involved a nurse on staff who did not perform CPR on an 87-year-old female resident who had collapsed suddenly in cardiac arrest, choosing instead to wait for the arrival of emergency medical services. According to multiple reports, the victim, Lorraine Bayless, did not have a “do not resuscitate” order. The Food and Drug Administration is in the process of reclassifying "pre-amendment class III devices," including automated external defibrillators (AEDs). This proposed increase in regulations will have significant public health consequences, due to reduced access to early defibrillation for the nation's victims of sudden cardiac arrest. If regulatory hurdles increase, access to lifesaving treatment with AEDs will decrease. Following is our letter to the FDA. We urge you to express your concerns to the FDA as soon as possible, before a determination is made. Sign this petition. Or use the sample letter below. If people listen to Dr. George Lundberg, it will be very unfortunate for future victims of sudden cardiac arrest. Will High Profile Cases of SCA Suffered by Athletes Help Raise Awareness? Fabrice Muamba, 23, a British soccer player, suffered sudden cardiac arrest on March 17, and was clinically dead for 78 minutes before being resuscitated. He has since recovered and was discharged from the hospital on April 16. Whether or not he will continue as a footballer has yet to be decided. For now, he wants to spend precious time with his family. 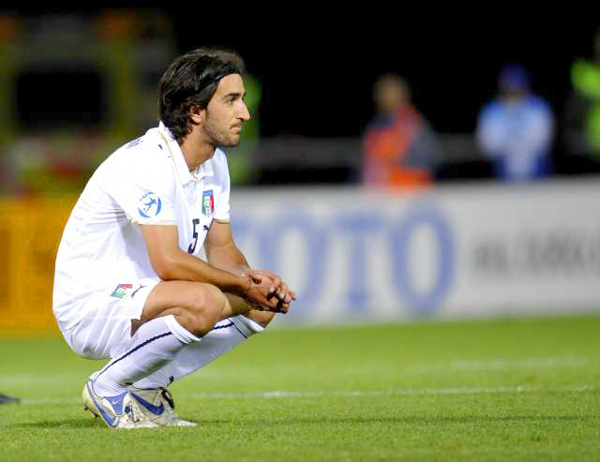 On April 14, Italian soccer player Piermario Morosini, 25, suffered SCA during a match. Unfortunately, he could not be resuscitated. Andrew Roszak, JD, MPA, EMT-P, a nationally recognized expert on AED law and a member of the Sudden Cardiac Arrest Foundation Advisory Board, highlights an important development in his article, "If an AED is legislatively mandated, is there a duty to use it?" He describes a new law which is the first to impose an affirmative duty on AED owners. "Entities with AEDs should be aware of this development in AED law," says Roszak. "AEDs should be utilized in any situation in which they are indicated. Otherwise, the responder or business may end up having to defend a lawsuit and explain why the device was not used." What do high school football players Tyquan Brantley, 14, of South Carolina, Donaterio J. (D.J.) Searcy, 16, of Georgia, Isaiah Laurencin, 16, of Florida, Samuel Gitt, 17, of Pennsylvania, and high school football coach Wade McClain, 55, of Texas have in common? They all reached the end zone far too soon—crushed by a formidable opponent, sudden cardiac arrest. Late summer’s brutal heat was said to be a factor in most of these recent deaths—temperatures have been among the warmest on record. Like George Yamalis, I had a very personal reason for joining the Foundation’s team at this year’s Highmark Walk for Healthy Community. Today, June 2, is the 12th anniversary of my frightening and eye-opening experience with sudden cardiac death. I was fortunate on that day in 1999 to be among people who were alert enough to immediately call EMTs to the scene and even luckier that a fire department team was only minutes away with defibrillators that re-started my heart and ultimately saved my life. No AED was available at the scene of my event. While I held down the fort at the Foundation tent, my wife, Lis, walked with the Foundation team because we believe that more lives can be saved if everyone becomes aware that AEDs are not a conveniences in airports, malls, schools, sports facilities and other public places, they are A Must!